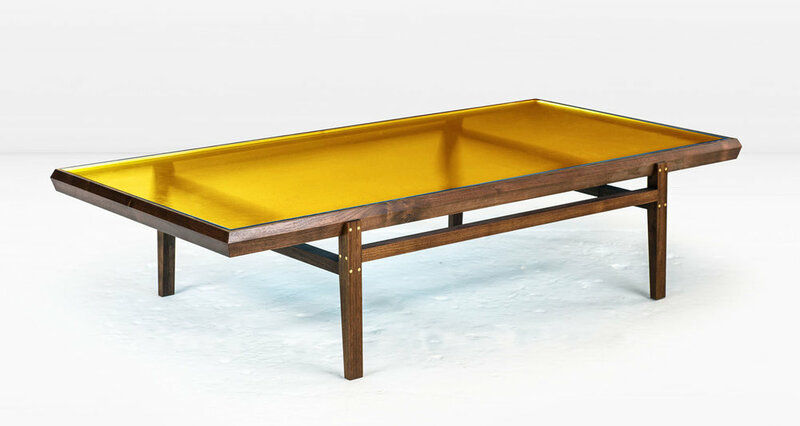 The Pintor Coffee Table’s solid wood frame with Brass inlay is engineered with chamfered edges to provide a simple but worthy setting for the jewel toned, colored glass which forms the tabletop. Shown with solid American Black Walnut frame and Ice Blue glass top (4th image with Canary glass top). Last images shown with Stainless Steel inlay and Golden Amber glass top. 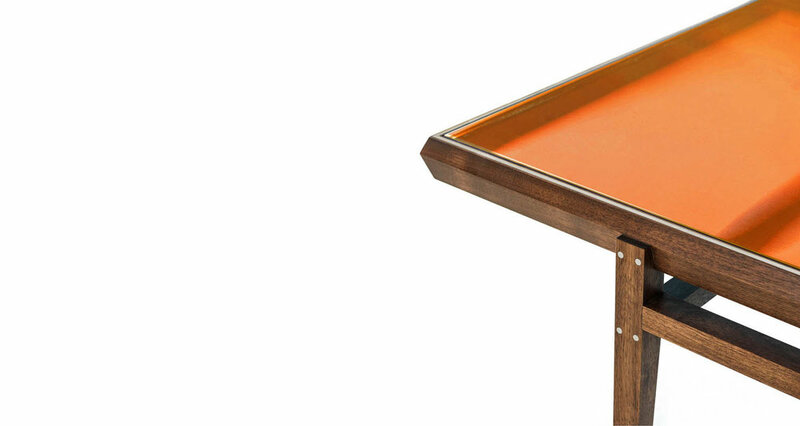 Other options include a Fumed White Oak base as well as additional glass colors.